Classic brownie recipe that turns out every time, is not too rich, is perfectly fudgy, and can be made your own with all kind of mix-ins. 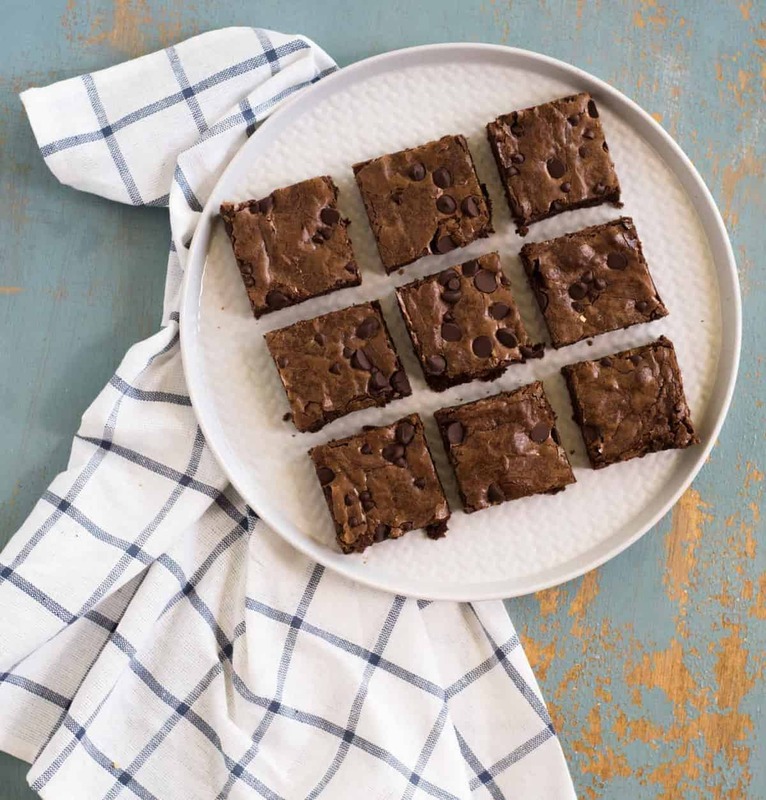 Everyone needs a really classic brownie recipe that turns out fudgy and perfect every time, and this recipe is just that. They’re sweet and not too dark, the texture is just right, and they hold together and store really well. In fact, I’m making them again tonight for a party (to go with some homemade ice cream!). Long live delicious homemade treats to share with friends! The fun thing about this recipe is that it’s really easy to customize with mix-ins. In the mood for extra chocolate and some nuts? Add them! Feeling coconut and caramel? Toss them in! I’ve added all kinds of mix-in suggestions to the recipe notes so that you can make this brown recipe truly your own. 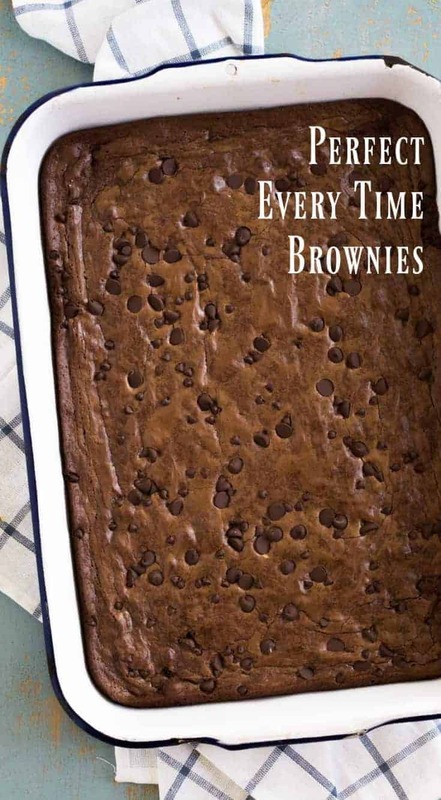 This brownie recipe comes from my friend Mary’s new cookbook! 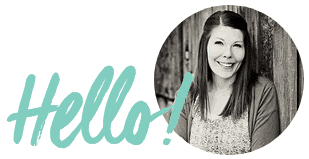 I’m so excited to share a new cookbook with you today. My friend Mary Younkin from Barefeet in the Kitchen has a new cookbook that just came out. It’s called The Weekday Lunches and Breakfasts Cookbook: Easy and Delicious Home-Cooked Meals for Busy Families. Seriously, who doesn’t need this book? It’s actually a companion book to her first cookbook, Weekday Dinners. I reviewed her first book and posted a fabulous One Pot Sausage, Rice, and Peas recipe here. Mary’s book is everything I thought it would be and more. 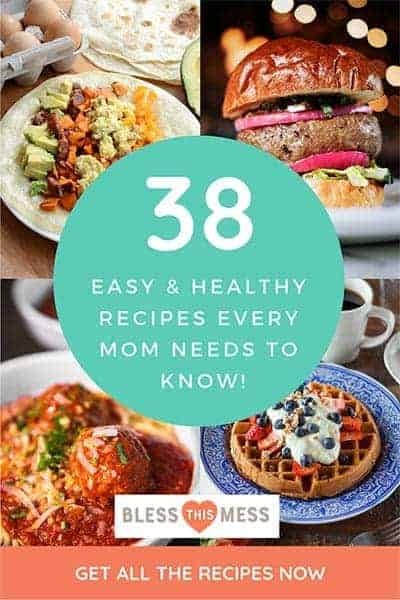 She’s included so many great quick, family-friendly recipes for lunch and breakfast (all of which you can use for dinner, too) and there’s a gorgeous picture for every recipe, too. She’s queen of the “cook’s notes” for every recipes which I find super helpful, and she’s also included gluten free options/substitutions for every recipe (even the baking ones!). The recipes I’m most excited to try are Dill Pickle Chicken Salad (you all know how much I love pickles! ), Chipotle Lime Shrimp Bowls, Lemon Parsley Angel Hair with Mushrooms and Asparagus, and Blackberry Almond Baked Oatmeal. There’s a million more that are on my list, but those are at the top. Did you know that Mary and I are good friends in real life? My kids wear her wonderful hand-me-down coats (she’s a mom of 3 boys), she taught me the joys and simplicity of making cheese/snack boards, and I just took a Cookbook Writing 101 class from her at the last conference I attended. I’m so happy to tell you about her book, and I’m so grateful to have such an inspiring friend in my life. You’re going to love her (and her recipes) as much as I do. 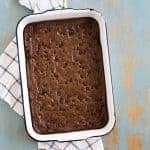 Simple brownie recipe that turns out every time, is not too rich, is perfectly fudgy, and can be made your own with all kind of mix-in’s. Line a 9×13-inch baking pan with parchment paper or grease well, set aside. In a medium sauce pan over medium heat, melt the butter. Add the chocolate chips and stir until they are melted. Remove the pan from the heat and add the brown sugar and vanilla and stir until thick and smooth. Add the flour and salt and stir until combined. Stir in your add-in of choice (if using any) and then pour the batter into the prepared pan. Bake for 30 to 35 minutes until a toothpick inserted into the center comes out with a few moist crumbs. These brownies keep in an air-tight container well for a few days or you can wrap them well and freeze for up to three months. Thaw at room temperature before eating. Mary’s brownie recipe is the one that my husband loves. I’m not sure if I should admit this or not, but I’ve made this recipes 3 times and her book has only been out a few weeks. It turns out every time. 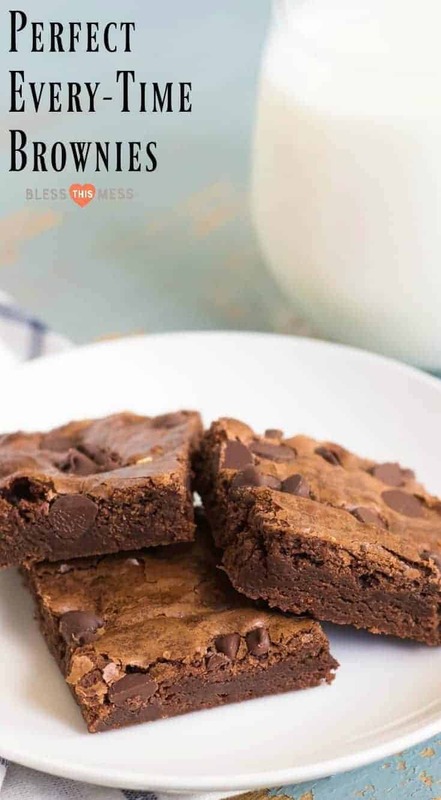 It’s a super classic chewy brownie recipe that is moist and perfect without being overly dark (which is why my family loves it so much). Enjoy from my kitchen to yours (well, Mary’s kitchen really…). I hope you make these over and over again like we have! 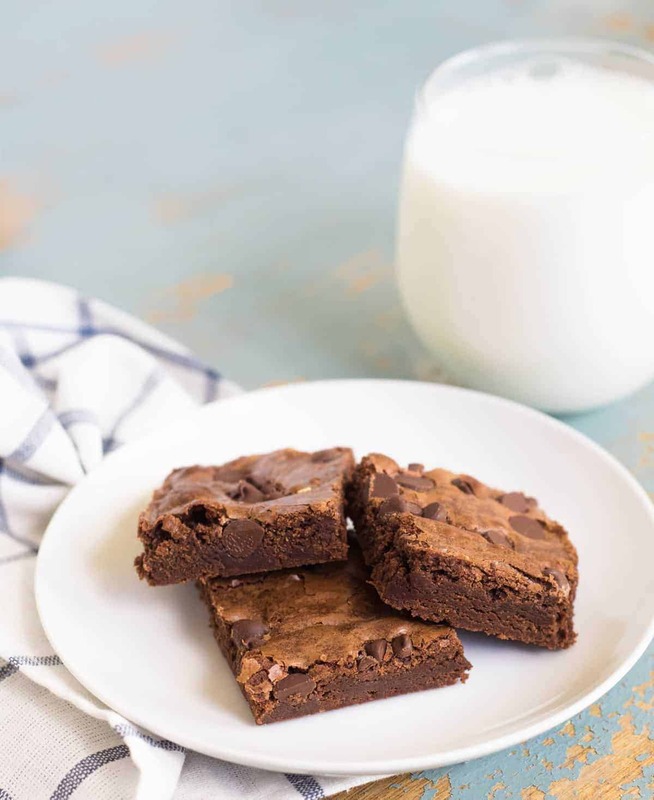 These brownies look amazing, and I love that they are made with such simple ingredients! 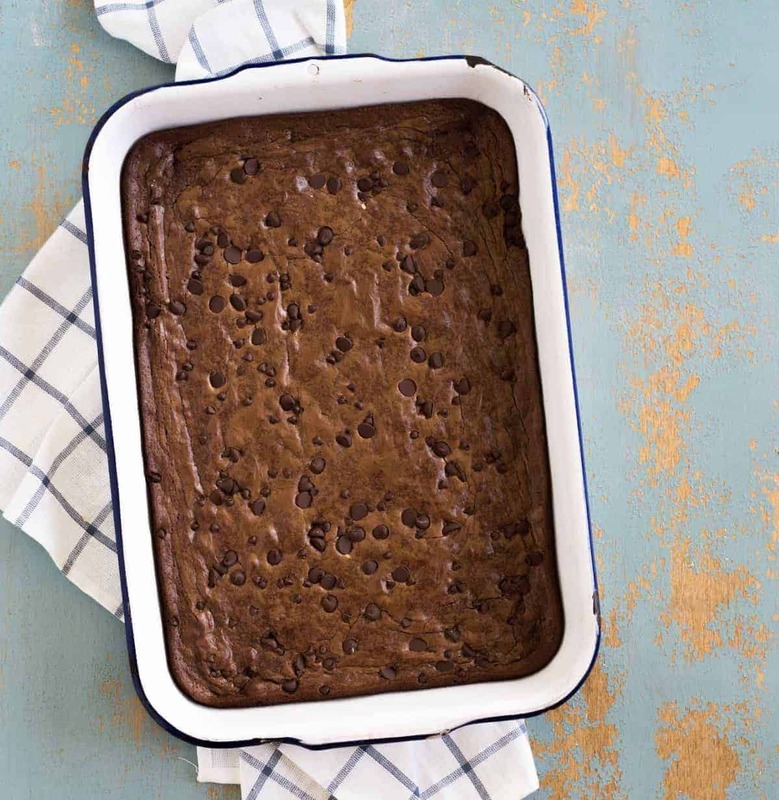 I’m so glad you like these brownies as much as we do! Your photos are gorgeous. Thanks so much for your sweet words too.